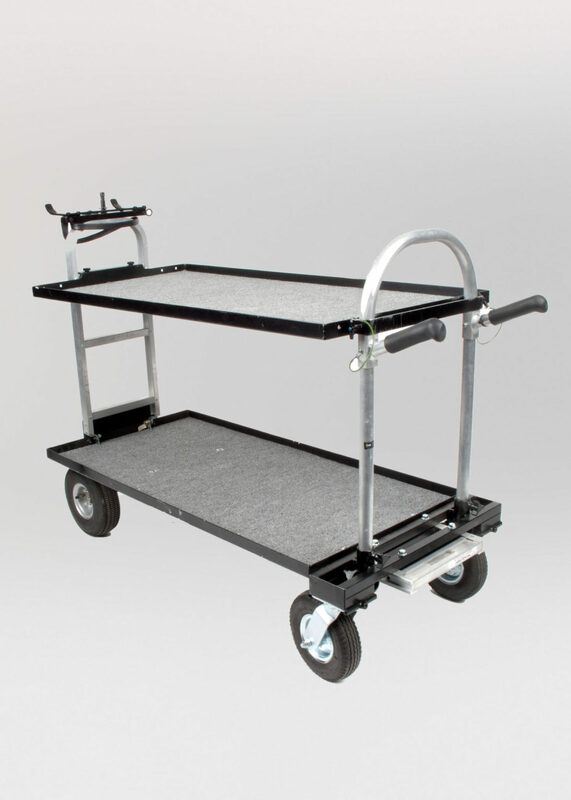 This is a folding cart for use on set, holding equipment, styling kit, etc. It has large (260mm diameter) standard Magliner pneumatic wheels and two medium (220mm diameter) braked pneumatic castors near the handle. Each truck is fitted with two carpeted shelves.